Whoa, whoa, whoa, let’s slow this train down! It is already April and I still haven’t finished all my garden clean up. I seem to work at a snail’s pace; I have only completed parts of my front yard, and there is so much more to go…. ugh! At least there is still time to finish and get this yard in shape before summer. I want to be able to garden from the window by the time it gets too hot and the mosquitoes get big enough to start carrying people off, and that is very soon. Water. Now that is getting hotter we must water more. I’m especially talking about watering those newly planted plants. Sprinkler systems are great for established plants, but newly planted plants need water that is directed at the root ball. It’s important to keep these roots moist and sprinklers may or may not get water to the root ball of a newly planted plant. Be careful to water your plants thoroughly, they will thrive and once established, you will be able to water less. You may also need to water other plants, even the established ones, more often in the warmer weather. Just keep an eye on your garden and if you notice signs of stress like: leaf drop, brown leaves and/or bud drop, you should check to see if it is just a matter of watering the plant. Don’t wait until there are limbs dying to check. With more sun, wind and less rain, plants will be thristy. If your camellias have finished blooming, it is time to prune, if needed, and fertilize them. This helps the plant to have a better show of blooms next year. Azaleas can be fed and pruned as well. If you haven’t cut back the winter damage to your garden plants, now is a good time to finish that. April is a great month for vegetable gardening, you are not too late. Plant beans, corn, cucumber, eggplant, okra, peppers, radish, squash, watermelon this month. If you don’t have time to get a garden ready, use containers to grow your vegetables. Once you have your seeds or transplants all, you need to grow your own food is good soil, good drainage and full sun. Why not give it a try? add color to containers, landscapes, and even a couple for inside your home. 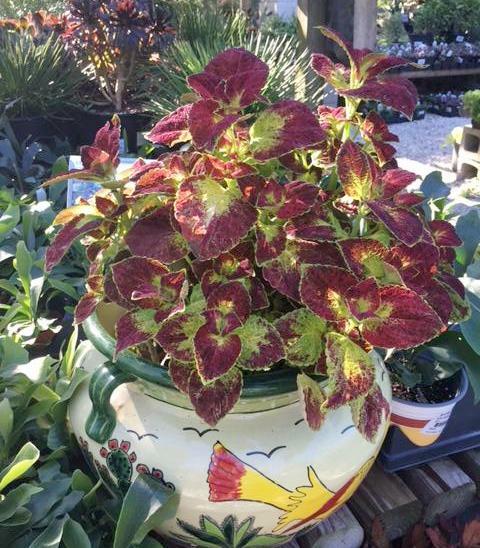 For summer color in the shadier side of your garden try impatiens, begonia, Persian shield, coleus, heuchera, columbine, alstromeria, caladium, polka dot plant, ajuga, torenia, Mona lavender, cat whiskers, justicia, creeping Jenny, dichondra and many more. 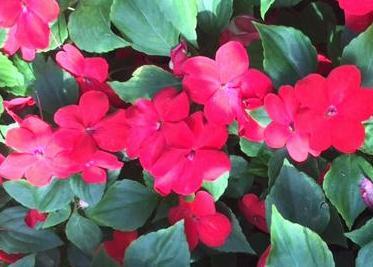 Brighten up your garden by bringing color to the shadier to part sun areas of your garden. , cone flowers, rudbeckia, salvia, vinca, gomphrena, sun coleus, pentas, zinnias, cosmos, angelonia, calibrachoa, gazania, lantana, verbena, and more. 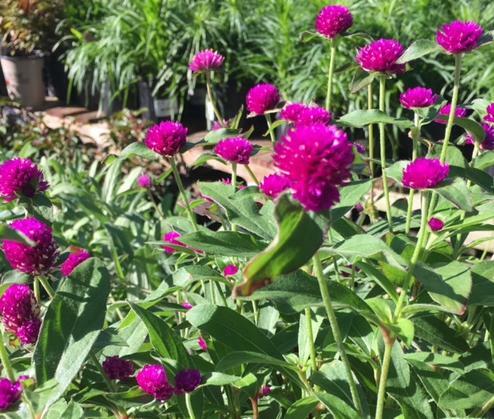 These plants will give your garden or patio a colorful new look for the summer. For indoors, we just received tons of house plants that are amazing. There are many types of Sanseveria like: Bantel’s sensation, starfish, Mikado Fernwood, whaletail, cylindrical, etc. Sanseveria is a great indoor plant that doesn’t require a lot of watering or attention to grow; truly an amazing plant. 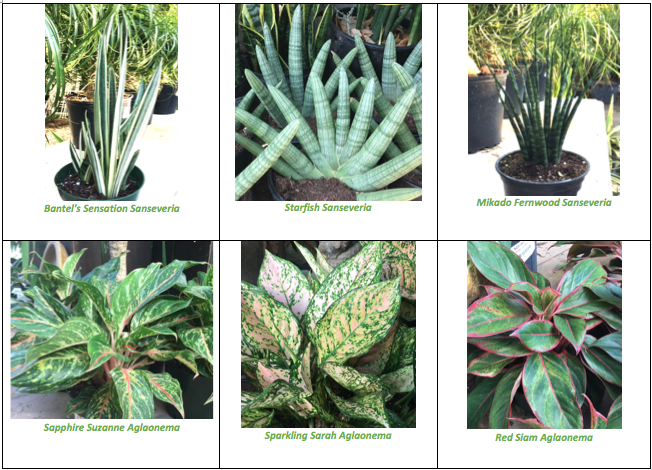 We also received some beautiful aglaonema, Chinese evergreen plant, varieties include Etta rose, sapphire Suzanne, Siam red, silver bay, and sparkling Sarah. These plants are an easy way to add beauty to any room. Come out and see these beautiful plants before they are gone.